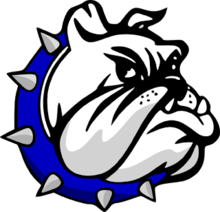 CRESTLINE — After beginning their 2017 football campaign with two road games, the Crestline Bulldogs hosted the South Central Trojans at Hutson Stadium on Friday night. Crestline would come up short against the visitors 44-9 and fall to 1-2 on the season. South Central used a big opening quarter to set the pace for the remainder of the game. In that first quarter, the Trojans managed three touchdowns while Crestline could answer back with just one of their own. That touchdown came on an aerial strike from quarterback Ty Clark to his primary target, Davon Triplett. Trailing 21-7 after the first, the Bulldogs would be blanked until their defense recorded a safety in the final quarter. South Central would go on to a halftime lead of 34-7 and continued the dominance, posting an additional 10 points in the second half of action. On the night, Clark completed 16 of 29 passes for a total of 223 yards en route to the above mentioned touchdown while tossing three interceptions. Triplett caught three of those passes from Clark for 100 yards and the score. Caleb Moore recorded three catches for 58 yards, Bailey Woolard snagged seven receptions for 54 yards and Jaden Steward rounded out the receiving core’s statistics with three catches for 34 yards. The ground game for Crestline amassed just 67 total yards from scrimmage on Friday night. Dakota Wireman ran to the bulk of that number, carrying the ball 10 times for 41 yards. Ethan Clum had four rushes for 23 yards and Clark ran the ball twice for three yards. In total, the ‘Dogs picked up 290 yards in total offense. Next week, the Crestline squad will travel to New Washington to meet up with the Buckeye Central Bucks.